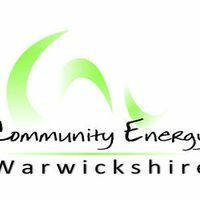 Community Energy Warwickshire is a community-based energy co-operative which aims to help generate renewable energy and reduce energy consumption in Warwickshire, Coventry and Solihull. It has installed solar panels on the roofs at local hospitals. It has run energy saving workshops as well as investigating other local options for renewable energy. And it runs a grant scheme to help communities in Coventry, Warwickshire and Solihull to improve the energy efficiency of buildings and to tackle local fuel poverty. Community Energy Warwickshire is a new approach to local energy – a co-op whose aim is to invest in renewable energy projects and to help local people to reduce their use of energy and save money. As a co-op, we’re able to raise money to fund projects by inviting people to become members of the co-op by investing in shares in Community Energy Warwickshire. That’s how we funded our solar-powered hospitals project which put solar panels on roofs at Stratford upon Avon and Warwick Hospitals – and how we have funded the second phase of our solar-powered hospitals scheme, which has installed solar panels at Leamington Spa Hospital.